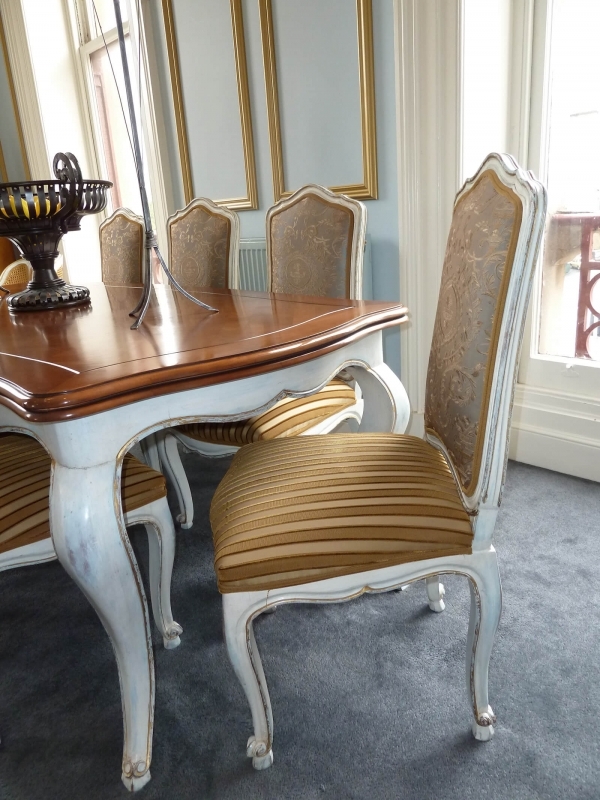 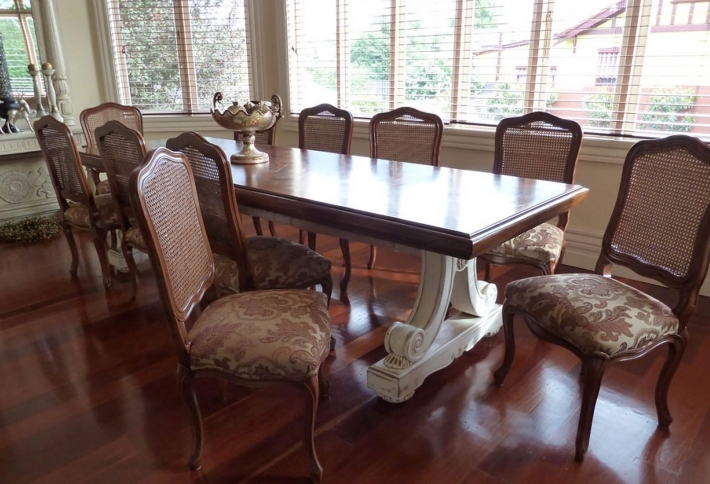 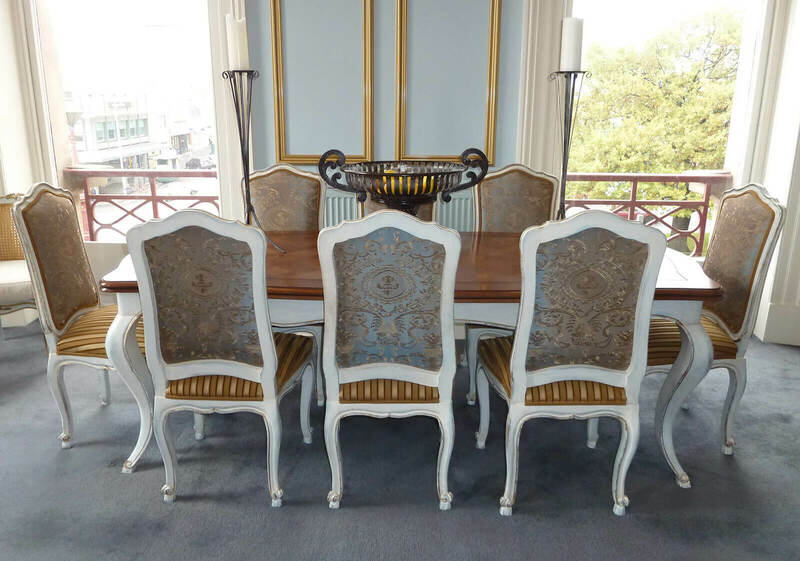 French style dining chair with exposed painted timber frames. 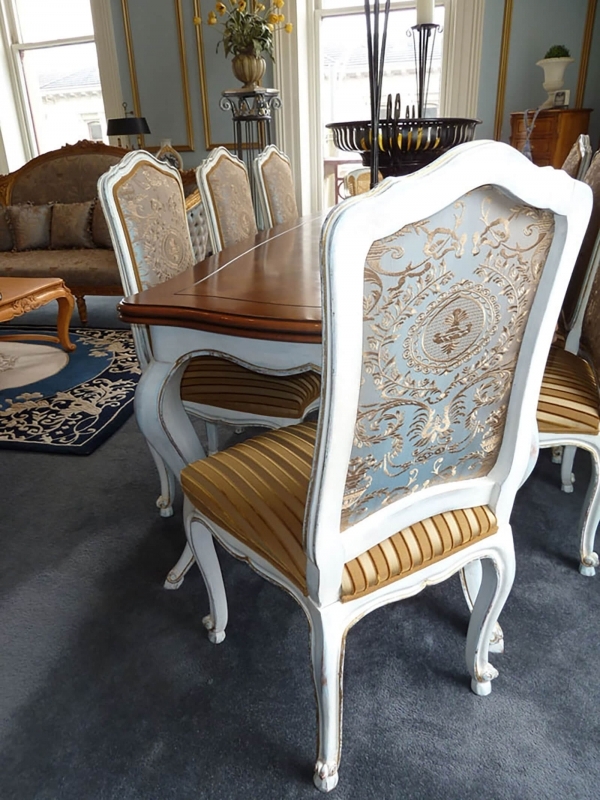 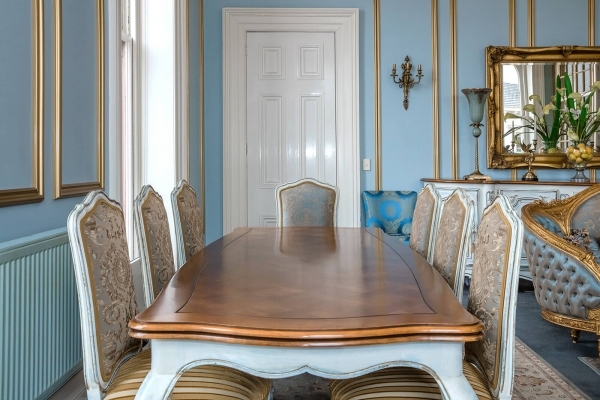 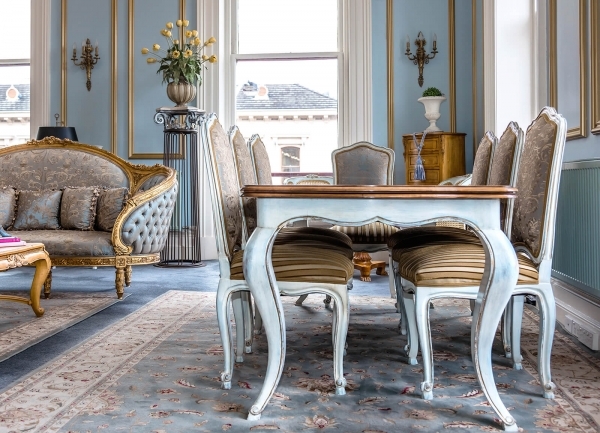 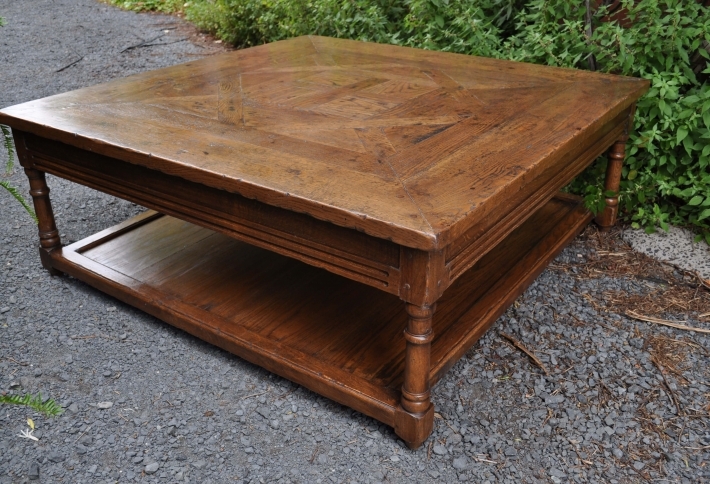 Chairs shown feature carving details on cabriole style legs, backrest and base rail. 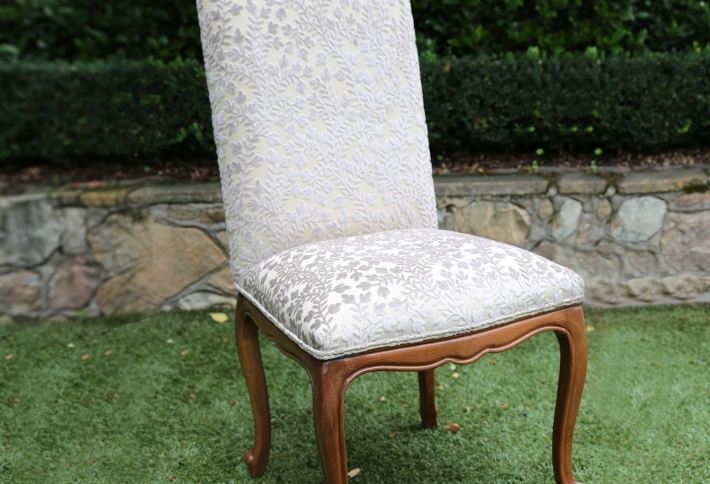 Custom upholstered seat and backrest.